Remember: those ledgers aren't *really* anonymous. 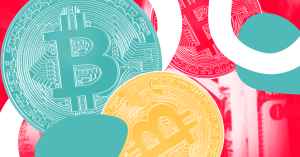 For some cybercriminals, cryptocurrency is appealing because it’s somewhat anonymous. But as one group recently learned, perhaps it’s not quite anonymous enough to avoid law enforcement. Starting in 2013, hackers targeted major banking institutions by fooling them into downloading ATM-hacking software. The software instructed ATMs to spew cash at will, which mules then picked up and transferred into criminal accounts, and later into crypto wallets. In the end, hackers stole over €1 billion ($1.2 billion). The international law enforcement agency Europol recently apprehended four members, including a key “mastermind” of the plot, who was arrested in Spain. Europol has not released where the criminals are being held. In the past, criminals could rely on the fact that transactions in cryptocurrencies were semi-anonymous, and besides, law enforcement wasn’t well-versed enough in the technology to find criminals fast enough. But even though transactions are anonymous, each one is still recorded on a public digital ledger. It’s not that hard to trace any given transaction back to the wallets used to launder money. Indeed, a study published earlier this year found that it’s relatively easy to retroactively track black-market bitcoin transactions to existing public accounts, even when the transactions were conducted several years ago or on sites that no longer exist, like Silk Road. That’s exactly what happened in this case. Sources told Spanish newspaper El Mundo that the cryptocurrency ledger was one of the ways Europol agents tracked down and identified the group’s leader. Granted, most law enforcement agencies still aren’t savvy enough to track down criminals this way (though there are rumors that the U.S. Marshals are one of the few, and are already profiting from of their cryptocurrency seizures). But this recent bust could signal a shift in the tide. If cryptocurrency is going to become more popular and more widely used, governments will need to develop “white hat” teams that specialize in crimes related to cryptocurrency. Criminals will certainly grow more careful about cryptocurrency laundering using techniques that disguise the wallets they end up in. The result could be a digital arms race of sorts between crypto criminals and those seeking to bring them to justice — and law enforcement will need to make a huge jump in sophistication to ensure they end up on top.